The 2018 ACC/AHA Multisociety blood cholesterol guidelines provide updated recommendations based on contemporary evidence on the management of serum cholesterol for the prevention of atherosclerotic cardiovascular disease (ASCVD) events. This review discusses clinically important topics in the new guidelines related to secondary ASCVD prevention. 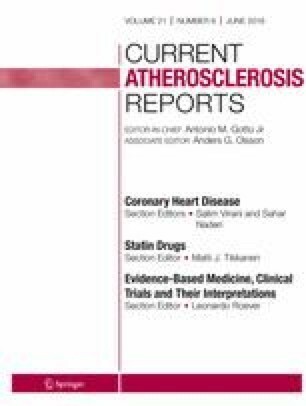 Since the 2013 ACC/AHA blood cholesterol guidelines, several large randomized control trials involving ezetimibe and proprotein convertase subtilisin/kexin type 9 (PCSK9) inhibitors (evolocumab and alirocumab) have been published. The trials provided evidence that these non-statin, LDL-cholesterol lowering agents are efficacious in reducing risk for ASCVD events in patients with clinical ASCVD. The 2018 guidelines incorporate these new findings into updated clinical recommendations on therapeutic strategies related to the use of ezetimibe and PCSK9 inhibitors. The guidelines also recommend risk stratification of secondary prevention patients to identify those at very high-risk of ASCVD events as these patients would derive the most absolute risk reduction from the addition of non-statin therapies. While high-intensity statins remain the first-line treatment to prevent recurrent ASCVD events in secondary prevention patients, ezetimibe and PCSK9 inhibitors are evidence-based non-statin agents that can be used when residual on top of maximally tolerated statin therapy in patients deemed to be at very-high risk of recurrent ASCVD events. Xiaoming Jia and Mahmoud Al Rifai denote equal contribution. Xiaoming Jia, Mahmoud Al Rifai, Yochai Birnbaum, Sidney C. Smith Jr., and Salim S. Virani declare no conflict of interest.